These video tutorials will help you understand what to expect if you’ve scheduled a Flyboard® session, or are interested in doing so. 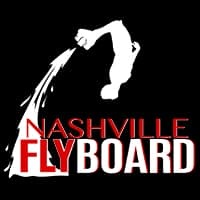 You and your group will always be given a personal intro lesson by your Certified Flyboard® Instructor before your session at Nashville FlyBoard. You will be taught to safely maneuver the Flyboard®, and to exit the water quickly & safely. Your instructor will also teach you in flight tips & tricks, which most people pick up very quickly.